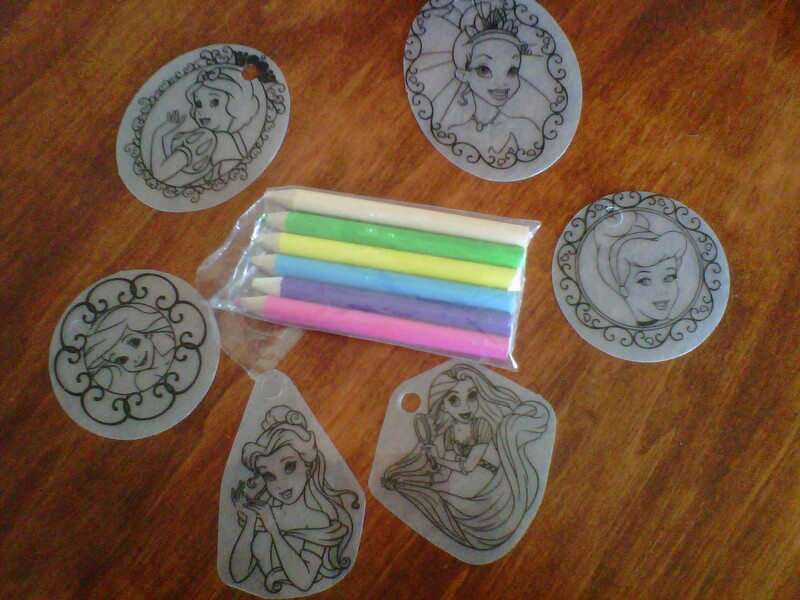 For Lil’s birthday she was given a Disney Princess Shrinky Dinks set. 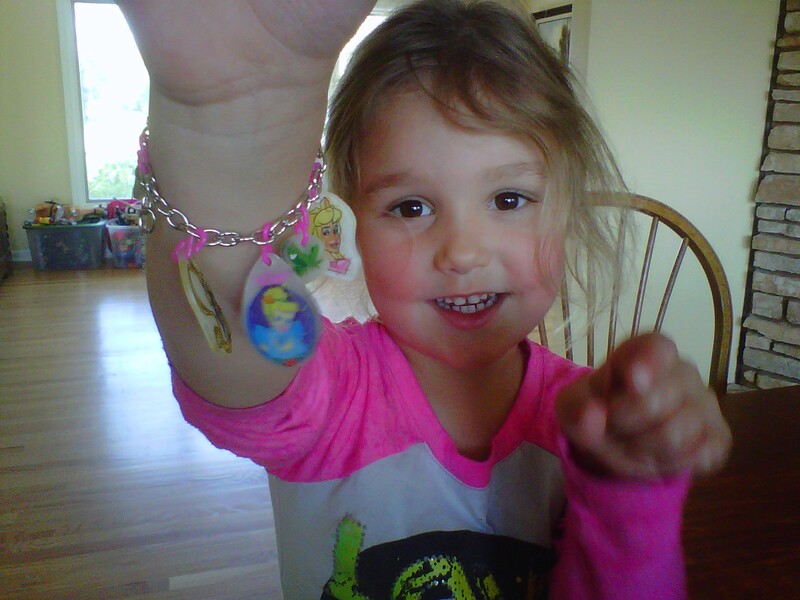 I was completely unfamiliar with what Shrinky Dinks are so it was a treat for myself as well as for Lilly when we made our first Shrinky Dinks bracelet today. It wasn’t a treat listening to Odin yell and scream about how he didn’t want to nap while we were crafting together but that’s how it goes sometimes. Anyways, the first thing you do is color the flat plastic princesses. Then you bake them for a few minutes watching the magic unfold. It was really fun for us to watch them fold/curl up on the baking sheet and then flatten out again, becoming little charms for the bracelet. Then you assemble the charms on the bracelet and listen to the jingle as your little girl happily sport her new jewelry.